Baseball Hall of Famer Roy Campanella. Allen’s son Tom, proudly offers his father’s originals and prints for sale. For availability, contact Tom F. Hermansader. From his earliest years in rural Pennsylvania Dutch country, Allen Foster Hermansader, expressed the desire to be an artist. His childhood interest in art blossomed after his move to Florida, shortly after the untimely death of his mother when he was just 14 years old. Here, Allen became friends with a kindly old neighbor who turned out to be the internationally known artist, Henry Salem Hubbell. Hubbell had studied under the renowned Whistler for 12 years in Paris. Returning to Royersford, Pennsylvania, Allen maintained a lively correspondence with Hubbell who inspired him to various scholastic art awards in 1945, 1946 and 1947. 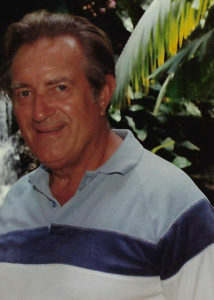 After he graduated from Royersford High School, Hubbell invited Allen to his Florida residence and sponsored him for the two-year program at the Miami Art School. At night Hubbell taught his pupil the difficult and tantalizing techniques of the old masters. Allen’s education landed him his first job as a sign painter. Allen would later win many awards for his paintings. 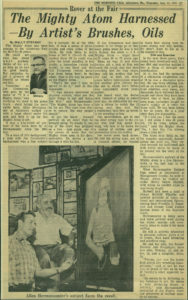 In 1957, 1958 and 1959, Allen won first places award at the Allentown Fair, Allentown, PA. In 1984, Allen’s painting of the “Mighty Atom” won first place at the Reading Art Museum. Through the years Allen has never forgotten the generosity and kindness of Hubbell and has often extended himself to help aspiring artists in numerous ways. One excellent example was the “Friendly Art Club,” which he founded and correlated with the Good Shepherd Home in Allentown, PA.
Allen’s primary fields included church murals and restorations, restoring and repairing oil paintings, and painting portraits. 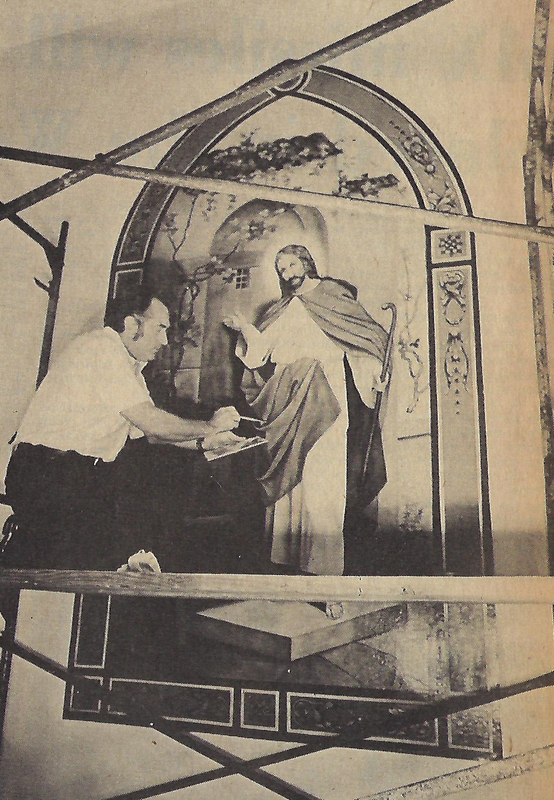 Allen has painted and restored many church murals in Carbon, Schuylkill, Monroe, and Lancaster counties. For more information about Allen F. Hermansader’s work or to buy originals or reproductions, please contact Tom F. Hermansader.